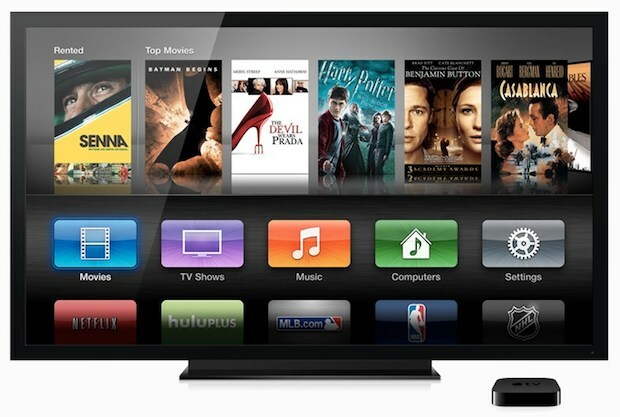 Apple has released a new software update for Apple TV that brings a few of the more popular iOS 6 features to the device. Despite sharing some features with iOS 6, the version is labeled as 5.1 with a build of 10A406e. The update includes Photo Stream sharing, new screen savers, the ability to switch iTunes accounts, enhanced AirPlay options, Trailers, further subtitle support, and provides for the ability to re-arrange homescreen icons by holding down the Select button on the remote control. The update is available for both Apple TV 2nd and 3rd generation models and is said to also improve the performance and stability of Apple TV. Updating Apple TV to the latest version is done easiest by navigating to the Settings menu, choosing “General”, then choose software update. Most users are better off downloading the update through Apple TV itself, but using iOS firmware files is the same on Apple TV as it is for other iOS devices and requires a USB connection. pleasseee. where do you get these links? pleasseee. where do you get these links for the files? I have apple tv 3 and let the truth be to I updated the unit and I didnt see much difference in the update. The latest Apple TV SW Update BROKE access to all CNET Video Podcasts… Looks like quality is going to crap! Yep, 5.1 screwed my home sharing. Now it doesn’t work. Doesn’t Apple test these things? Any idea how to get this going ?